Cellular Freedom’s goal is to save you money. Whether we have the solution for you or research how, our shoppers will have peace of mind knowing they saved money. We do this by offering sophisticated, knowledgeable, and unique solutions based on each customer’s cellular needs. Our name speaks for itself. We enable all consumers to have the freedom they deserve from any restraint. Cellular Freedom was founded in 2006 by Epping NH resident Shawn Currier, out of frustration for the high prices people were paying for cell phone services from the major carriers. Since the company’s beginnings in his own condex in Manchester NH in 2006, it has grown to become a successful local business. In 2007, Cellular Freedom opened up its first location in Hooksett, NH. 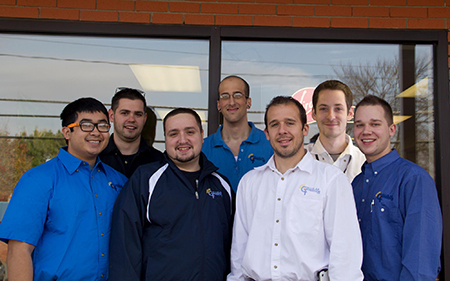 The Manchester, NH location is a result of the continued growth of the company and its loyal customers. Cellular Freedom officially incorporated in 2012 after operating as a Limited Liability Company before, and currently employs roughly 15 local employees. We look forward to tackling the challenges and opportunities of the future in the rapidly-evolving cell phone industry. We are always researching new options and services for our customers in order to serve you better!